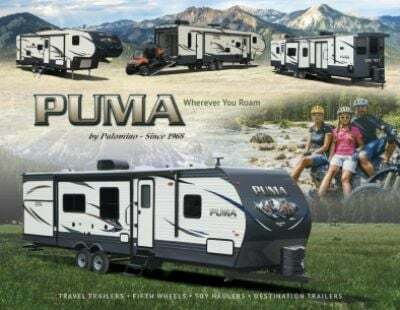 Embark on your next adventure with the 2020 Palomino Puma 255RKS! It's a great 5th Wheel for travelers like yourself!All Seasons RV offers fast and easy financing for all of the models on our lot. If you're driving by Muskegon, stop by 4701 Airline Rd Muskegon Michigan 49444 to talk to one of our RV experts, or call us at 231-739-5269! Place your camping chairs and picnic table under the shade and protection of the 18' 0" awning! This rig has a GVWR of 8800 lbs, as well as a hitch weight of 1102 lbs. 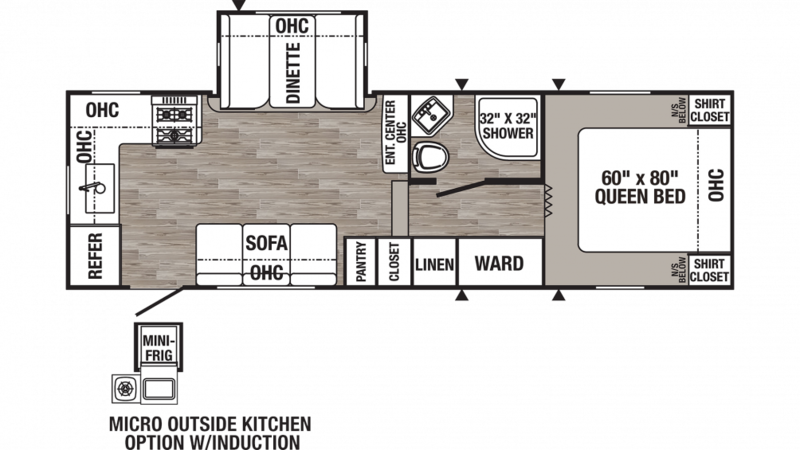 This 5th Wheel can accommodate the whole family - and then some - with its roomy 27' 9" length and 8' 0" width! The 1 slides open up easily to create a spacious living area where everyone can stretch out and relax! When the weather outside isn't cooperating, you'll just move the fun indoors, staying cool on the hot days thanks to the 13500 BTU a/c unit. And when it's cold outside, the 35000 BTU furnace will keep you warm and toasty! There are enough sleeping accommodations for up to 6 people, so your whole family will sleep comfortably at night! Among the most comfortable sleeping accommodations is the cozy Queen bed in the master bedroom! Before you leave home, fill up the 51 gallon freshwater tank for an abundance of clean water to drink and wash with throughout the trip! This RV's kitchen has a 6.00 cu. ft. refrigerator for storing fresh food and cold drinks, and a 3 burner range cooktop to cook up delicious dinners!